As I just drifted off to sleep that Sunday evening, suddenly I heard the wine rack rattling and felt the bed shaking and shifting. I quickly sat up and yelled to my husband “We are having an earthquake!” He calmly said “It’s ok. It will be over soon.” The light fixture continued to sway at least another 45 seconds after it was over. It wasn’t the “Big One” but it was a 6.9 and shook us pretty good. To my amazement the earthquake that struck on March 9th, 2014 didn’t cause severe damage to us here in Humboldt County. California is not the only state that has the potential of being hit by the “Big One”. This past March Yellowstone National Park in Wyoming was rocked by a 4.8, followed by several aftershocks with magnitudes ranking over 3.0. This past Saturday, April 12th, Oklahoma was hit with over 48 earthquakes larger than a 2.5 magnitude. That same day Idaho was also shook by a 4.9. These states aren’t the only ones being “rattled”. Chile was struck by a devastating 6.7 quake on March 16th that caused major damage. More than 100,000 people had to briefly evacuate their homes. 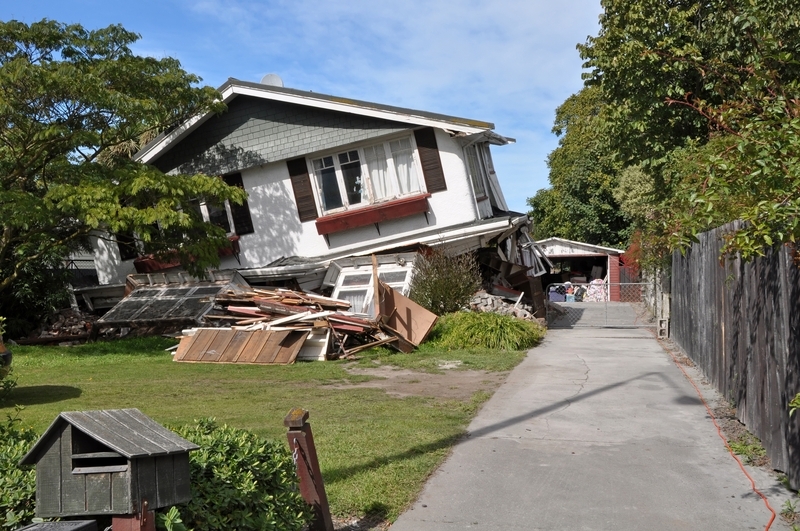 The destruction of an earthquake is shocking and not something that can be avoided. You may even think your state, city or town will never see a quake. However, earthquakes are becoming more common and everyone should be prepared for when a catastrophe occurs. • Create a preparedness kit that will last for (at the very least) 72 hours. Include canned foods, water, a radio, flashlights, batteries, blankets, clothing and shoes, a first aid kit, money, a pipe wrench for turning off the gas and water, and specialty items such as medications, infant food and pet food. • Know the safest places in each room of your home, such as under a sturdy table or against walls. • Know the most dangerous places in each room to avoid, such as near windows, mirrors, fireplaces or near any hanging objects. • Create a plan for where your family will meet if separated during an earthquake. • Secure your water heater by strapping it to wall studs. • Know where the gas and water valves are and how to shut them off.